Known to the Greeks for its astringent properties, horsetail, or shavegrass, is grown internationally. 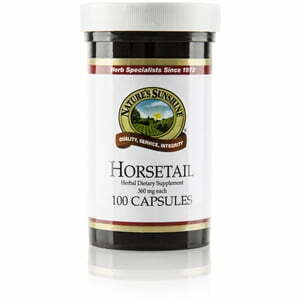 Because horsetail is rich in silica, a substance found in connective tissues, it is an important whole grain to help maintain healthy tissues. 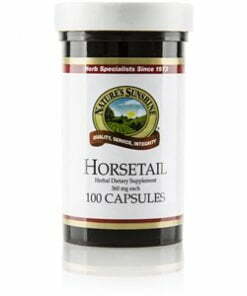 Each Nature’s Sunshine Horsetail capsule is 360 mg.